Apple Monday evening made available through its website a QuickTime video stream of its WWDC 2009 keynote address from earlier in the day that ushered in more affordable Mac notebooks and the iPhone 3G S.
The Cupertino-based company used the near 2-hour presentation to announce more affordable 17-inch MacBook Pros and 15-inch MacBook Pros, the latter of which now share the same built-in battery technology as their larger cousins while also debuting new SD Card slots, faster processors, and higher quality displays. The 13-inch unibody MacBooks received similar treatment and have therefore been rebranded as 13-inch MacBook Pros. Among their improvements are faster processors, higher quality displays, the addition of FireWire 800, SD Card slots, built-in battery technology, as well as back-lit keyboards and reduced pricing across the line. MacBook Airs were also updated with faster chips and more affordable pricing. Apple also announced plans to launch Mac OS X 10.6 Snow Leopard as a $29 upgrade for existing Mac OS X 10.5 Leopard users in September. The software will arrive alongside Mac OS X 10.6 Snow Leopard Server, which will sell for $499 with unlimited client licensing. The highlight of the event, however, was the new iPhone 3G S, which Apple said would perform up to twice as fast as its predecessor. Some of its enhancements include a digital compass, 3-megapixel camera with auto focus and video recording, as well as voice control and new accessibility features. 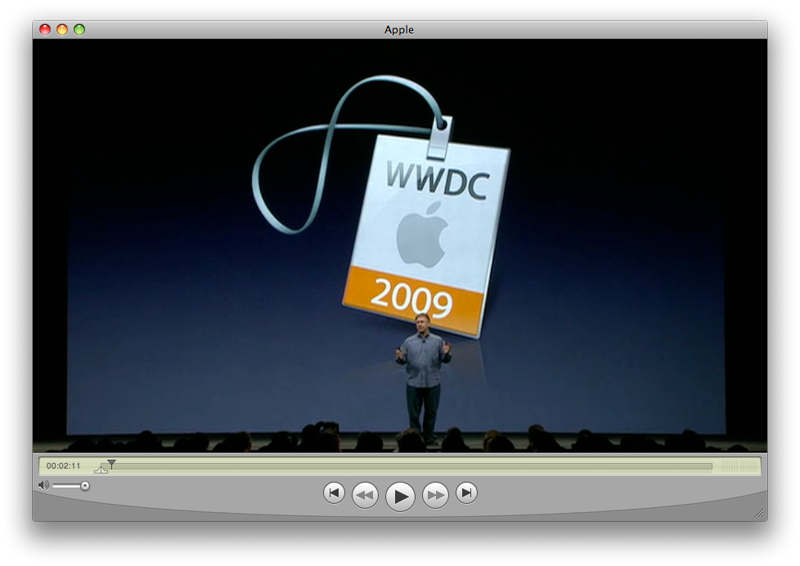 Click here to view the QuickTime video feed of Apple's WWDC 2009 Keynote Address. Additionally, Apple also announced plans to launch iPhone Software 3.0 on June 17th (save for MMS and tethering support) and said it will begin selling the existing 8GB iPhone 3G for $99 with new two-year AT&T contracts beginning today. The iPhone 3G S will be available for $199 and $299 in 16GB and 32GB, respectively, when it goes on sale two days later on June 19th. However, the $199 and $299 price points are for new AT&T customers or those eligible for upgrade pricing because they're more than halfway through their two-year contracts. Customers who aren't halfway through their contracts —i.e. those who purchased an iPhone 3G immediately following its release —will have to pay a $200 premium to upgrade to an iPhone 3G S early. Apple releases Safari 4 as "world's fastest browser"